Upon entering most synagogues, whether it's the hallway or the actual prayer room itself – you will come into contact with an eternal light for synagogue. You may have seen it many times before, but not even know! When you do next enter the synagogue, you should take notice at the eternal light for synagogue that will be displayed. Once you do notice it, you will appreciate the unique design that is present. At times, we can take things for granted. However, when looking at the smaller details – everything can be very different. For example, with an eternal light for synagogue there is so much detail to become familiar with. for example, The materials used for lightning should be well considered. Lighting used in all of our products has been switched from toxic mercury-laden fluorescent lighting to the smaller footprint and more environmentally friendly LED. LED lighting consumes less power, provides higher-intensity and better distributed lighting and heat, and has longer life expectancy. We at Or-El pride ourselves in providing you with much choice to pick from, such as different colours and designs. This makes the acquiring of an eternal light for synagogue that much easier. As a result, our company has become the top company in the manufacture of enhanced components for the decoration and commemoration of synagogues. By simply visiting us at www.or-el.co.il/len/, you will see that there are so many products to buy. These are eternal flames, information prayer times, prayer and hymn plaques and memorial plaques. These are just a sample of the many goods that are available from us. If you are interested in getting your hands on an eternal light for synagogue, you can either visit us on the Internet (www.or-el.co.il/len/) or in person. Directions to our store in Tel Aviv are available through the map on our website. 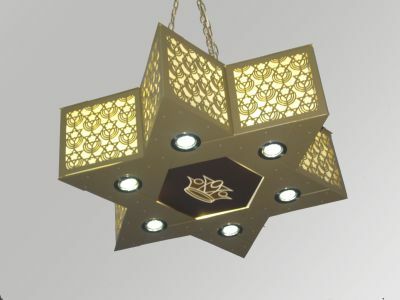 Whatever you decide, we at Or El will be happy to help you select the finest eternal light for synagogue.